Capture important pain or peak points. Measure the right CX drivers. But why are only 39% of CX pros using journey maps for that purpose? * Is it because they haven’t mapped journeys yet? Or because they don’t have access to existing maps? Or because they don’t trust the quality of the maps? Maybe it’s because their maps lack the secret sauce needed to define CX metrics. That secret sauce is what my report “How Journey Maps Improve CX Measurement Efforts” is all about. It describes four steps for using customer journey mapping to improve CX measurement programs. Pick an important journey that lacks (good) CX metrics, then recruit a cross-functional mapping team that includes metrics mavens. Focus the mapping process on uncovering the inputs you need to define the right metrics. The questions in the figure below will help you do that. Most important to get right are business objectives and customer objectives and expectations. 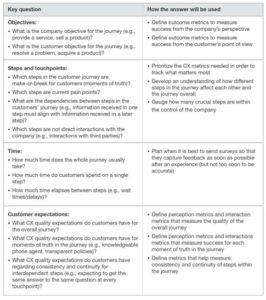 The journey overall — Did you meet business objectives and customer objectives? Peaks and pain points — Did experiences meet customer expectations in peaks and pain points? This is where you fill the identified metrics gaps; this means defining a source and calculation for the metric. For example, if you want to measure effort in a journey step, design a survey question and a scale, then decide whether the effort metric is an average score or a net score. When you have filled gaps, delete weak and irrelevant metrics. Next, plan a data collection strategy to measure the right metrics at the right time. Only use survey questions when that’s the best or only way to measure. For example, a survey question is useful if you want to know whether a customer feels loyal, but look for instances where text feedback or financial and operational data can replace survey questions. To identify the right owners for each metric, map the CX ecosystem. An owner should be the person or persons who are accountable for the elements of the ecosystem that most affect the metric — for example, the product management team for a product quality metric or the support and product management team for resolving a customer issue. Next, create journey-map-based dashboards. Journey-map-based dashboards overlay metrics on the graphical representation of the journey. This helps you visualize how the journey and its touchpoints perform from the customer perspective, how changes to one touchpoint affect other touchpoints, and how effective your CX improvement initiatives are. Do you want to contribute to more research on how to measure the success of customer journeys and how to scale journey-based CX measurement across the organization? 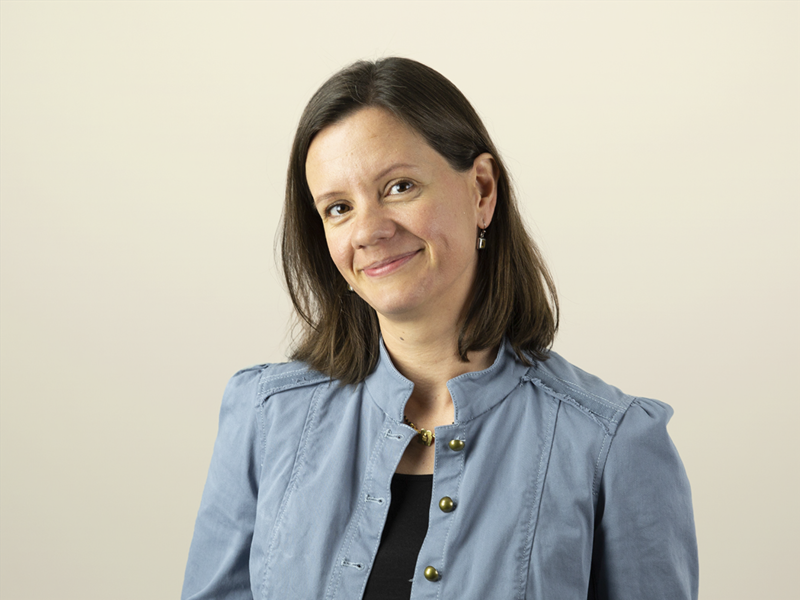 My colleague Joana van den Brink-Quintanilha and I would be delighted to hear your experiences and stories.